Who can resist a hot dog, layered in a crisp and fluffy pancake-batter bun? With ketchup, mustard, or both, you can’t go wrong. Pair this pup with the floral and citrus flavor of Witness, witbier. 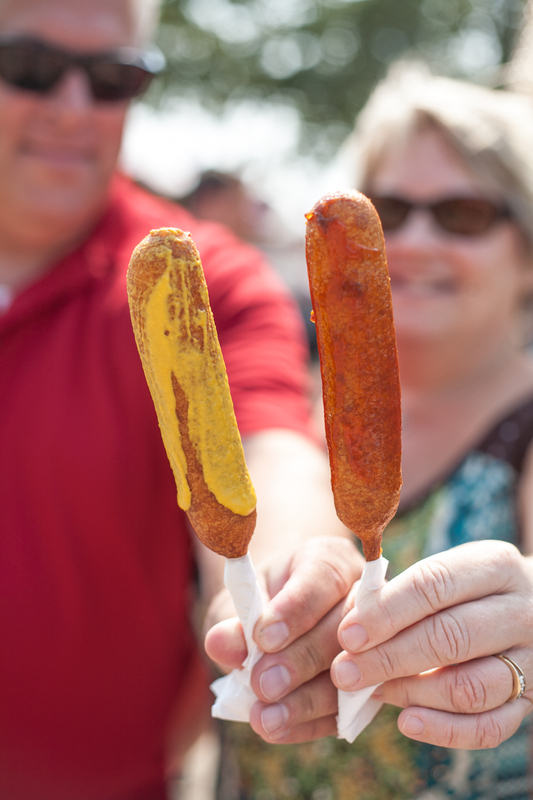 The perfect summer snack, at the State Fair or a day up at the cabin.